Now that I am working on the 52 Photowalks Project, I am constantly on the lookout for heritage walks and photo walks happening in the city. Seek Sherpa’s Galliyon Ke Raja was my first such. It was great fun. Like walking around the Streets of Old City looking for subjects was not enough of an out-of-my-comfort-zone moment, there was this whole ‘Street Photography’ tag attached to it too! But, luckily for me, it was a great first. I even got to learn quite a bit on controlling the camera and understanding lenses better from the very helpful and nice ‘sherpa’ conducting the micro-tour (as they call it). Now, no more words. I believe and hope that this time around, just the pictures are enough to tell a tale. Noticed the Hand of Fatima in one of the photos!! Love the doors! The pictures are so eloquent! Wow, this photos are absolutely stunning! 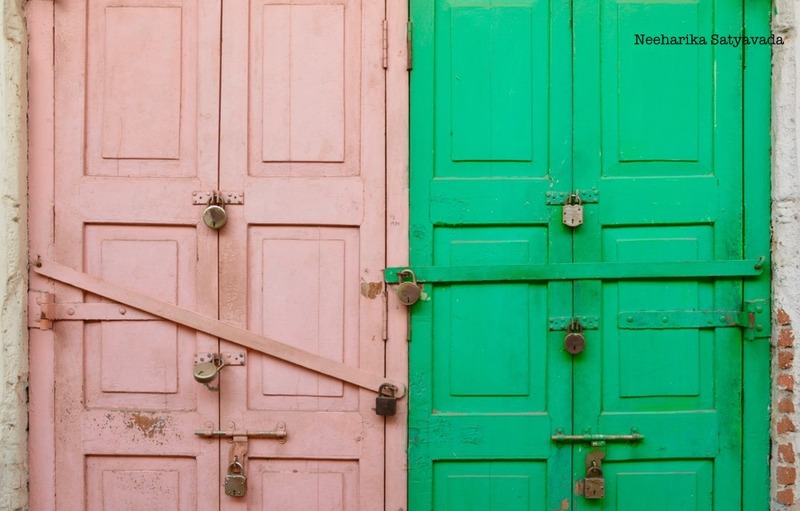 Wonderful minimalist images of the doors and gates. Beautifully done! Dan and I really enjoy your pictures.